Graffiti photographed on Mumbai streets. It's temporary, drawn only in chalk, but the message is clear. As far as I know, even when it's erased it always makes a comeback. 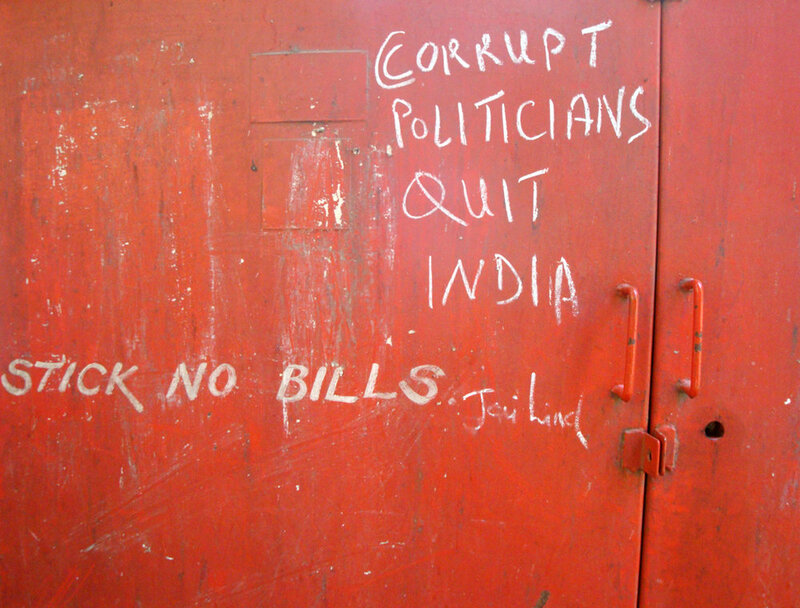 "Corrupt Politicians Quit India" - I saw this slogan all over this street and the surrounding areas.